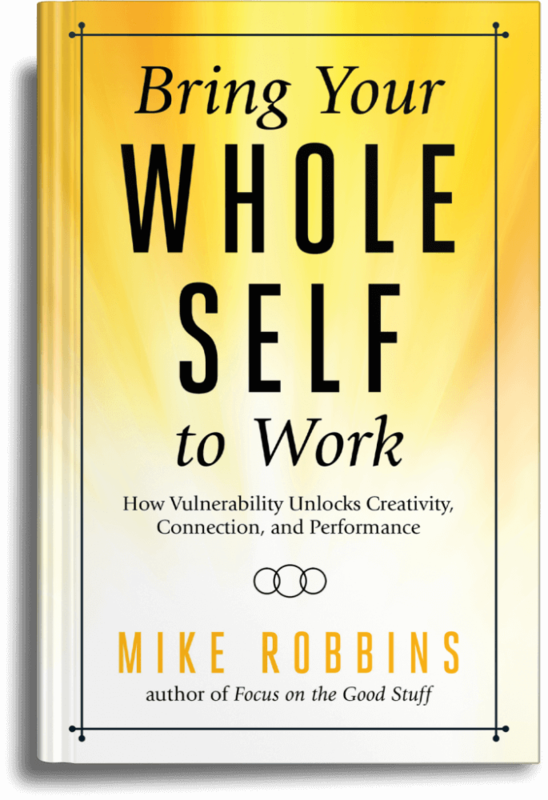 Today’s episode is the fourth in a series of solo podcasts in which I discuss the five principles of my new book Bring Your Whole Self to Work: How Vulnerability Unlocks Creativity, Connection, and Performance. During this episode, I talk about the importance of embracing a growth mindset. Growth mindset is a powerful concept introduced to the world over a decade ago by Stanford professor Carol Dweck. 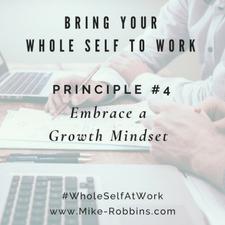 Our ability to adapt to change, take feedback, and look at everything that comes our way, even and especially challenges, as growth opportunities dramatically impacts our success and fulfillment at work and in life. [3:36] Understanding a growth mindset. [9:43] Change can trigger a fixed mindset. [11:20] The Stop, Start, Continue Framework. [18:25] Becoming open to and accepting feedback. [28:41] Bringing personal growth commitments to the forefront.